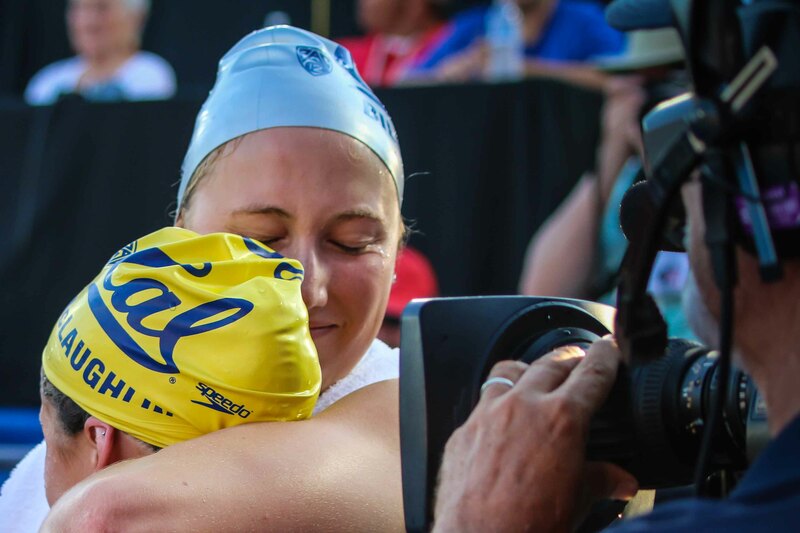 The Cal Bears come in with the fastest time this season in the 400 medley relay, and they appear to be the favorites to put an end to Stanford's winning streak in this event. 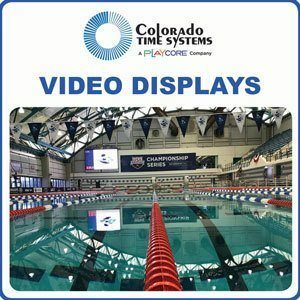 Last year, the Stanford Cardinal demolished all the records, knocking down the NCAA, American, and U.S. Open Records in this event at both the Pac-12 and NCAA championships. At the latter event, the quartet of Ally Howe, Kim Williams, Janet Hu, and Simone Manuel combined for a 3:25.09. Manuel split sub-46, as Stanford won by over a second, en route to their NCAA title. It’s going to be a completely new-look relay for Stanford this year, though. Everyone except Williams was a senior last year and Williams didn’t qualify for NCAAs this season. While the team still figures to be the favorite to win the overall team race this week, their 400 medley relay has been hitherto unspectacular, and the Cardinal sit at 11th on the psych sheet with a 3:31.04. At Pac-12s, Stanford trotted out a lineup of Ella Eastin (51.26), Allie Raab (59.56), Amalie Fackenthal (52.85), and Lauren Pitzer (47.37). There is a potential path for Stanford to get down to around 3:27. 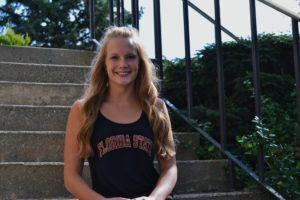 That would involve something like putting Taylor Ruck on back, bringing in freshman Zoe Bartel, who went 58.7 in high school but hasn’t been better than 59.9 this year, and either using Eastin on fly (52-low out of high school), or Fackenthal splitting 51-something (also a lifetime best of 52-low). Meanwhile, the California Golden Bears arrive in Austin with the fastest time this season in this event, courtesy of a 3:26.41 victory at Pac-12s, where they won by over three seconds. That squad consisted of Amy Bilquist (50.64), Ema Rajic (59.53), Katie McLaughlin (50.14), and Abbey Weitzeil (46.10). Breaststroke remains a relative weakness for the Bears, but those other three legs are about as fast as you’ll find. It’s worth noting that McLaughlin was on her third swim of the night after having pulled the 100 fly-200 free double earlier that session. This event falls on day 2 at NCAAs, meaning that McLaughlin should be fresher, and we could very see her break 50 on the fly leg. Cal might be able to eke out a little more speed by swapping Ali Harrison in for Rajic on the breaststroke leg. Harrison split 58.89 last year at NCAAs, but finished just behind Rajic in the individual event at Pac-12s last month. Indiana’s relay is kind of the mirror image of Cal’s. Whereas breaststroke is the Bears’ weakest leg, it’s the Hoosiers’ strongest, and what a strength it is. Lilly King split 55.66 at Big Ten’s, the fastest split of all time, with Morgan Scott (52.21), Christie Jensen (50.68), and Shelby Koontz (48.05) making up the rest of Indiana’s relay, on back, fly, and free, respectively. Their time of 3:26.60 puts them 2nd in the nation this season behind Cal. 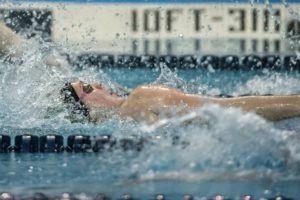 Scott and Koontz are new to this relay, while Jensen split 51.13 at last year’s NCAAs, so it’s a bit hard to predict exactly what this relay will do come NCAAs. Moving down the psych sheet, NC State burst back onto the scene with a dominant performance at ACCs, where their time of 3:27.81 vaulted them up to 3rd nationally. Elise Haan and Kylee Alons put up a pair of 51.5 splits on back and fly, respectively. Sophie Hansson threw down a 57.75 breaststroke split that is one of the fastest time you’ll see by someone not named Lilly King, and Ky-lee Perry anchored in 47.03. While the Wolfpack men have been a national tour de force for a few years now, this is relatively new ground for the women, and we’ll have to see how well they back up their stellar ACC performance this week. 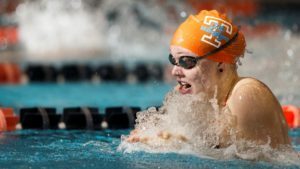 At SECs, Tennessee got a 3:28.43 victory from Erika Brown (50.88), Nikol Popov (58.05), Maddie Banic (51.32), and Bailey Grinter (48.18). The big question is whether or not the Volunteers choose to use Brown, one of the top sprinters in the country on this relay or not. 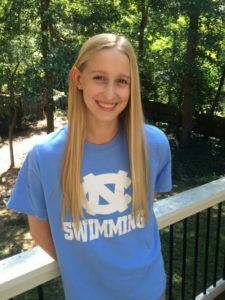 Last year, they opted to leave her off at this NCAAs, with Meghan Small taking backstroke duties instead and putting up a respectable 51.43 leadoff. Choosing to use Small on back and Brown on either fly or free could produce a net improvement between 1 and 2 seconds, which could put them in the running for a top three spot. There’s also the possibility of going with Stanzi Moseley on free, who split 46.82 at last year’s NCAA prelims. Michigan took 2nd at B1G behind Indiana, putting up a 3:28.47. The Wolverines have an incredible back half duo of Maggie MacNeil and Siobahn Haughey, who split 49.86 and 46.97, respectively. They lack a strong backstroke presence, with Catie Deloof leading off in 52.74, but Miranda Tucker went a solid 58.90 on breast. They’ve got enough firepower to be pretty assured of a spot in the A-final, although they’ll have hard time challenging for a top three spot without a sub-52 backstroke leg. Last year at NCAAs, the Louisville quartet of Alina Kendzior, Mariia Astashkina, Grace Oglesby, and Mallory Comerford finished 4th in a time of 3:26.93. All four legs return this year, and while the Cardinals have been relatively quiet so far this season, their track record indicates that they’ll show up at NCAAs and should once again be smack dab in the middle of the A-final. They’re seed with a time of 3:29.02, about half a second faster than their seed time from last year. Auburn’s been looking quite solid all season, and they sit right behind Louisville on the strength of a 3:29.06 effort from SECs. Their team there consisted of Erin Falconer (51.97), Carly Cummings (58.85), Alyssa Tetzloff (51.50), and Claire Fisch (46.74). It’s the first season under new head coach Gary Taylor, so we’ll have to see if that’s affected how they’ve approached NCAAs vs SECSs, but anything close to that time again should put them into the A-final. There are another three teams under 3:30 on the psych sheet: USC, Virginia, and Texas. The Trojans were seeded just a bit faster last year, but couldn’t match that time at NCAA prelims, and ultimately finished 12th. Virginia is almost four second faster than they were seeded last year, and if Morgan Hill can match her 50.34 fly split from ACCs, they should be right on the fringe of making the A-final once again. The Longhorns seem to be taking a different approach this year, with the goal of peaking for, rather than before, NCAAs, so they also seem to be a good bet to move up from their #10 seed time, a 3:29.99 from the Texas Invite last fall. It’s worth keeping an eye on Minnesota, who returns three of the four legs from last year’s 5th-place team, but whose seed time is three seconds slower than last year’s. Think the only reason Tenn was forced to use Brown on back was Small getting sick. Otherwise would’ve had Small on this relay and 400 free. Interesting side bet: what are the chances of Indiana going from 8th to 1st on the breaststroke leg? They wont be 8th, but lily has at least a 2 second gap in breast and she can make that up. Their flyer and freestyler will be good also. I think they will be second behind CAL. I think she went 8th to 1st a couple of years ago in Indianapolis. Thank you for altering your username. I tried emailing you, but get a bounceback from your email address. Please don’t use other real peoples’ names as your handle, as it can create confusion when people do comment under their real names.